These two words are always around in the investing world. Overall, the bull and bear market terms denote whether the market moves up or down. 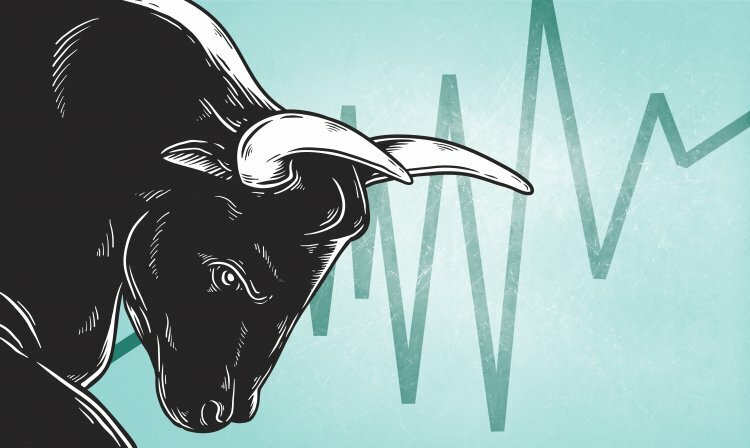 At the same time, as the market is shaped up by investors' sentiment, these terms ‘bullish’ and ‘bearish’also denote how investors feel about the market – positive or negative. The terms are most commonly associated with stocks, however they can also be applied to other assets that are traded – Forex, bonds, cryptocurrencies, commodities, etc. Simply put, a bear market is when the value of an investment declines over an extended time period. It can be weeks, months or even years. A bull market occurs when asset prices grow by 20% or more. Such a situation is characterised by the excessive optimism ofinvestors, who become confident that the prices will keep growing further. They may push the asset’s bidding price way above its underlying value. Such sentiment is called ‘irrational exuberance’, which can entail asset bubbles like we witnessed in the real estate market in 2008. A bear market is the opposite of a bull market. It happens when prices fall around 20% or more from their high. In bearish circumstances, asset prices are continuously in decline, which results in the widespread pessimism of investors. They are sure that this downward trend will keep going, which forces them to sell the asset and, consequently, push the prices down even further. As a result, the downward trend sustains itself. Typically, the overall economy will slow down in bearish conditions. The origin of the ‘bull’ and ‘bear’ terms remains unclear, but there are at least two explanations. The first one suggests that the words derive from the styles that the animals use to attack their enemies. Bulls thrust their horns up, while bears swipe their claws down. Metaphorically, if the market goes up, it resembles what a bull does while attacking. And if the trend is downward, it simulates a bear’s attack movements. The other explanation has historical grounds. The ‘bear’ term was the first to appear. At the beginning of the 1700s, early speculative traders at the London Stock Exchange practiced short-selling – selling of an asset they didn't own in falling market conditions. They did it hoping for prices to go down and the asset to be bought back at a lower price. You’ve probably heard a proverb ‘to sell the bear's skin before one has caught the bear.’ In relation to the early stock speculators, it transformed into the phrase ‘to sell/buy the bearskin’. Within time, bearskin was shortened to bear, the term was from this time was then associated with the stock which is sold and with the short seller themselves. Asbears and bulls were considered to be rivals in bull-and-bear fights, bulls quickly became associated with those who buy stocks and with the raising market in general. Supply and demand: in a bull market, weak supply goes in hand with strong demand. In the expectation for prices to grow, many investors are naturally willing to buy assets, but very few are willing to sell. Such a mismatch between demand and supply pushes price levels further up. Economic state: the economy is strengthening with lower unemployment and an increase in available credit. The growing money circulation encourages the stock market and the gross domestic product (GDP) to grow. This, however, doesn’t necessarily mean that the economy is in good health. Investors’ psychology: sentiment is one of the key non-numerical indicators, and in nearish conditions, investors will feel confident. The general tone of the market commentary is positive. 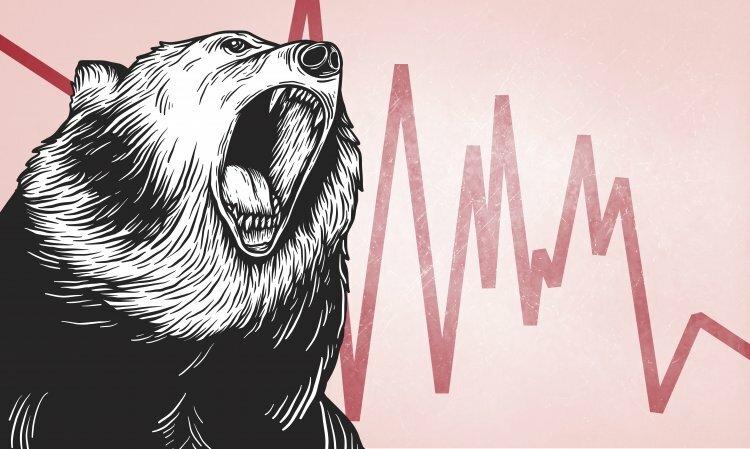 Supply and demand: in a bear market, everything is just the opposite – supply is strong and demand is weak. In other words, many investors are eager to sell assets and few are willing to buy. As the supply significantly exceeds the demand, share prices go down. Economic state: stock markets and the economy are interrelated. In bearish conditions, the economy is usually weak because companies, whose shares are traded on the stock market, record poor profits. And the smaller the profits, the lower is the estimated market value of stocks. Investors’ psychology: in bearish circumstances, investors’ sentiment is negative. They are unwilling to participate in trading and remove their funds from securities. This is a self-sustaining spiral: the decrease in stock market prices shutter investors’ confidence. As a result, they prefer to stay outside the market and keep their investments out, which, in turn, results in further price decreases. Investors who are willing to profit from from a bull market should buy as early as possible. You have to determine the uptrend at the very beginning and buy the asset. If its price consolidates so does your profit. In a bear market, on the other hand, you can earn by short-selling. According to this strategy, trader borrows falling shares to sell them and buys them back at a lower price. The profit is the difference between the price at which you sell and the price at which you buy back. Another way to take advantage of the bearish conditions is to turn to defensive stocks – utilities, food, staples, or government, etc. These industries are hardly affected in poor economic circumstances.